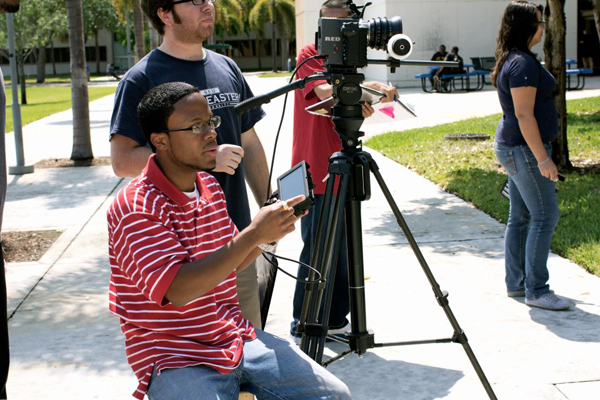 Miami, FLORIDA - 22 year old Bahamian filmmaker Jarrod A Knowles, is currently in his senior year studying Information Technology with Liberal Studies at Florida International University. It was there that his life took an interesting curve into film-making. "What Lies Beyond...The Beginning" is a horror / comedy and Knowles may well be the first Bahamian to work in that genre with film-making. When asked why he chose that particular genre he said," Horror is typically one of the easier genres to produce, as far as competition is concerned, because there aren't many great horror films. Moreover, you usually don't need a huge budget, or big name actors." Jarrod was born and raised in Nassau, Bahamas and attended Kingsway Academy and Queens College as well as home-schooled for a year. When asked how the storyline came about he said, " It all started with a script I wrote when I was a freshman in college. One day, I decided I'd turn the words on the page into moving pictures. I did not sleep well until the story was told, and the vision was realized. I hosted a casting call, secured a familiar location, hustled together some resources, and thus began my journey into the film world." "Having never attended film school, I was driven, simply by my vision and I thrived off of the enthusiasm and knowledge of the cast and crew. This experience taught me so much. More, than any school could ever teach me. 'Experience' is indeed the greatest teacher," said Knowles. "I can certainly say that what I do is not meant for the faint of heart. I am driven by my will to succeed, and that requires a unique level of relentless tenacity and utter determination." With this 'prequel' Knowles intends to give the audience a roller coaster experience, and hopes to cater to a wider audience. "Those who don't like horror can enjoy the humor and drama, and simply close their eyes during the horror violence," he said. "The humor in this film is indeed second to none. I credit this to a well written script and amazing actors who stepped up to the plate and enhanced the dialogue." And as like any film-making, the work comes with the usual challenges, such as fundraising and managing the set within a tight to non-existing budget. Still in the post-production phase, and with another scene to be shot in The Bahamas (Nassau) on August 26th, 2012 the young filmmaker is seeking sponsorship. "I need $15,000, to successfully complete project," he said. Interested investors can reach out to Knowles via his contact details below. Answering the call to assist are The Bahamas Ministry of Tourism, Miccosukee Tribe of Florida, and MP Leslie Miller.
" 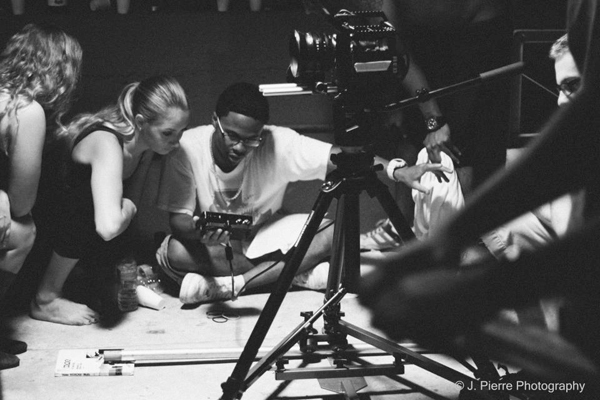 He is a talented young filmmaker with a bright future. He is courageous to go beyond the common boarders and tackle a very difficult film genre...horror," said Bahamas Film Commissioner, Craig Woods. "His script is well written, and he has captured the true essence of the subject blending his own brand of cinema with that of some legendary Hollywood filmmakers. With consistent work and focus, his career as a filmmaker can only go to greater heights. Keep your eyes on the prize, Jarrod." for their lives or fight to escape. Will there be any survivors left to tell the tale? 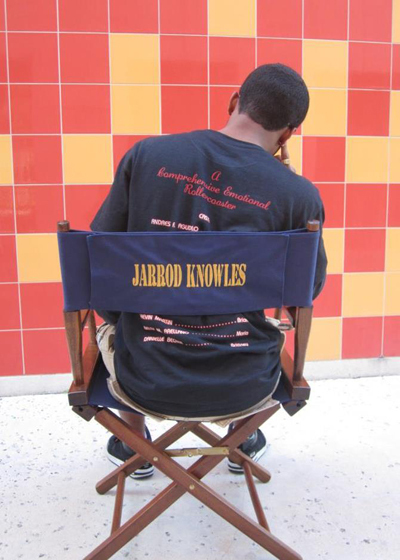 Full time student studying Information Technology film-making in his spare time - Jarrod Knowles on set of "What Lies Beyond..."
* Currently seeking sponsorship! I need of $15,000, to successfully complete project. Willing to provide detailed budget, equity, etc. In their near future, I plan to complete my script for "Said & Done", an action drama film following Susana Sherman, who, after having one of the worst days of her life, comes home to find the one thing that pushes her over the edge and triggers old habits from her dark past. Moreover, I plan to re-shoot my original What Lies Beyond Film, in 2014 and complete the story. Furthermore, I wish to expand my current company, into an agency, to help persons find work in the film industry and help to sponsor filmmakers, whom are just getting started.